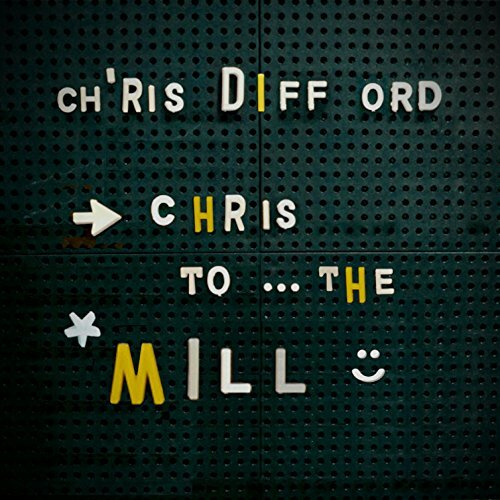 The solo work of Squeeze singer-songwriter Chris Difford is collected in Chris To… The Mill, a new 4CD+DVD box set that collects albums, rarities and unreleased demos. Difford’s three solo albums – I Didn’t Get Where I Am (2002), The Last Temptation of Chris (2008) and Cashmere If You Can (2011) – span nearly a decade and all feature here, along with 21 bonus tracks – B-sides, songs featured on compilations and unheard demos. A DVD features Chris discussing the songs as well as four new acoustic performances, filmed at Elton John’s studio. This set is packaged in a clamshell box (with the discs in card sleeves) and comes with a 48-page booklet with new notes by Chris on each album and a track-by-track annotations. The Chris To… The Mill box set is released 3 March 2017. Rumours abound about Squeeze albums to be reissued, from the horses mouth the rumours are true, late 17 or early 2018. Hopefully with plenty extra tracks, videos and crowded house like packaging. Are these being remastered? The Last Temptation of Chris was brickwalled and I Didn’t Get Where I Am was pretty compressed. Let’s hoping they don’t do that this time. Not sure they are remastered. Apparently, Chris has supplied audio direct. I’ll echo what Paul H said and would recommend this set to anybody who is considering buying it. I listen to his solo albums quite often and I’d go as far as to say that I prefer them to Squeeze’s albums. In fact, I was taken aback by the quality of his solo work, if I am quite honest. There aren’t many people who have released a trio of consistently good solo albums a couple of decades after their band’s heyday. I’d particularly recommend them to any fans of Stephen Duffy, as the style of song, the clever lyrics and the vocal delivery are very reminiscent of Duffy, to the point that my wife often mistakes them for Duffy songs when they pop up on the ipod playlist we listen to in the car. @ John lloyd: thank you for eexplaining the hidden (?) pun in this boxed sets title ! When you know it it’s pretty obvious ! There were some great songs released as part of the Saturday Morning Music Club downloads a few years back. Thr Trippy version of Take Me I’m Yours with Dorie Jackson is excellent. I find it very weird that their highest charting album in the UK and the US Babylon And On has never been remastered apart from in Japan which is expensive as hell to track down. Could you please enlighten me om the hidden (?) CD pun of the boxed set title that’s mentioned in the comments here ? I don’t get it but that’s perhaps as I’m writing from Germany anf Krauts usually…. Uwe, it’s Chris deliberately mis-pronouncing ‘grist to the mill’. Grist is the corn that you would take to the mill and grind for flour, and so leads to profit. ‘More grist to the mill’ means making even more money – and if you have the same sense of humour about yourself as Gifford and the re-use of old records, then it would mean ‘money for nothing’, or ‘money for old rope’ as we say here. Thanks for laying this out to not-native English speakers. Are the bonus tracks to ‘I Didn’t Get Where I Am’ really a separate disc when the other two albums have their attendant bonus tracks on the same CD as the albums? Four of Squeeze (east side, frank, ridiculous, sweets) were rereleased when the reformation happened i recollect and then there were the box of six reissues prior to that. Much under reissued though i agree. Agree with above, I Didnt Get Where I Am is a work of utter genius. Actually “Half a dozen of the Other” (being pedantic) but yes indeed I was really looking forward to this at the time and it never happened. Argy Bargy got the Deluxe treatment out of the blue a few years back but since then nothing. Maybe it’s their best selling album (although I would have thought that would have gone to Cool for Cats or Eastside Story – actually just checked and Argy Bargy was their biggest seller so there you go..). I’d love to see their back catalogue get some much-needed attention. I’ll be grabbing this one for sure. Like someone wrote above, why no Squeeze SD set? Their albums were all re-released as Japanese mini LP CDs some years back and expensive to buy or find nowadays. There ony seems to be a pretty old (1990s) long box jewel cased ‘Best Of’ on the secondary market in UK. In this day and age, I’d have thought the Squeeze’s back catalogue was ripe for a complete albums re-issue. A modest but sleek card sleeves in a clam box set like this one would be great. I mean Dutch national treasures Golden Earring have a 29 CD box set coming out next month of all 26 studio albums + non-album tracks – another set I’m up for, could not our own national treasures Squeeze get a similar treatment? Or is it disagreements about money, who owns what rights and ‘he’s not talking to him’ sort of thing? I’d hate to think it was just plain indifference! 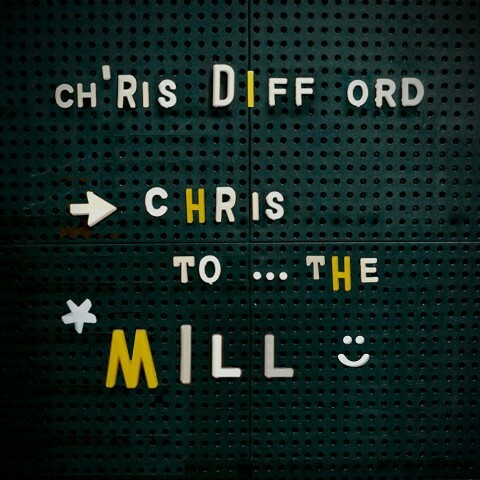 BTW …the title should be “Chris to…the Mill” , no? What is the target market for this? I love each of these albums but anyone who would have been interested would (or should) have bought them by now. I don’t see £25 attracting many of either people only casually interested in this work or completists needing demos. I`m in the market for this Paul, I`ve always loved Squeeze but I don`t have any of Chris`s solo output, so this box set is perfect for me and many others I suspect, like me. Glen Tilbrook was also an absentee in my album collection until recently, I`ve managed to get the 5 Demo Tape CDs and the `incomplete` double CD. What exactly the problem with any Squeeze S.E. releases or a box set? It is a pity that their back ctalogue is so neglected. I have Last Temptation of Chris which I played only last week and still sounds great. I will probably take a punt on these – intrigued about the Boo Hewerdine attributed songs – are they duets or co-writes does anyone know? Ok @ Richie and SteveT, good luck, I should have added that for me personally, I Didn’t Get Where I Am is amongst his best work, and the other two not far behind, so yes please do go ahead and take a chance, I shouldn’t have been so mean spirited. It really deserves to be heard. Boo Hewerdine co wrote and played on most of the second album and also joined CD on the recent Fancy Pants pledge music issue. First album was co written with Frances Dunnery of It Bites. Last album has contributions from Kathryn Williams and Green Gartside. It’s a decent body of work. The Glenn Tilbrook solo albums ditto…. Unfortunately I have all these albums already so not sure if it’s worth it for the B-sides. Quite interested in the track by track annotations. With Squeeze, Difford was the lyricist. It’s interesting to hear Glenn write his own lyrics since he didn’t for any of the stuff he’s most well known for.